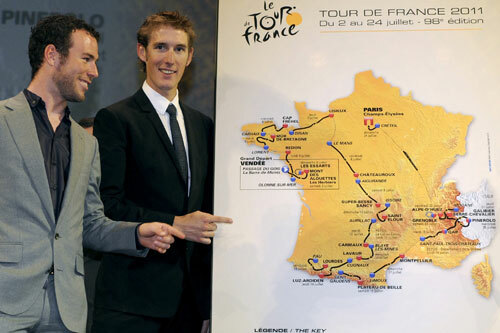 The route of the 2011 Tour de France was presented in Paris in the autumn, but there were very few surprises as the route had been leaked on the internet weeks before. The Vendée region hosts the Grand Depart before the race heads north in to Brittany and then down through the centre of the country. The first mountain range is the Pyrenees with the Alps being celebrated in the final few days of the race that includes two passes of the Galibier, one of the highest roads in the Alps. The final time trial, on the penultimate day of the race, will be around the city of Grenoble. There is also a team time trial on stage two. However, this is just 23km long and, according to ASO, is flat fast and for the specialists.